Every Lead Pastor is responsible for financing the mission. As a Lead Pastor you have to own it. We can delegate a lot of the responsibilities to the financial team, business administrator, or executive pastor, but at the end of the day the buck stops with you. 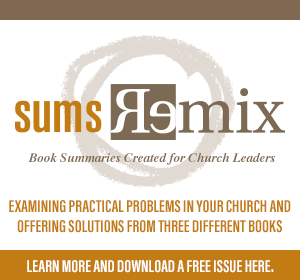 The degree in which your church is funded lands squarely on your shoulders. At the same time, many Lead Pastors shy away from this role. It’s almost as if they feel less spiritual if they think and talk about issues related to funding the mission. Because of this, it’s not unusual for churches to go under-funded or for significant ministry opportunities to simply never happen. We could all use more funding. Vision simply has a way of always out pacing our resources. I’m convinced that we can be better funded with a little intentional effort. 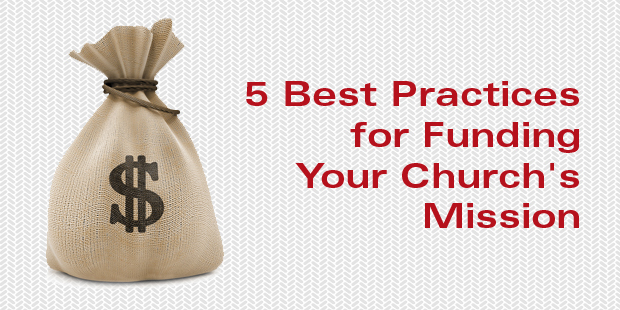 Here are five best practices for funding the mission that I’ve observed and practiced over the years. They talk about money. Sometime during the 80’s we got the idea that we shouldn’t talk about money. We went to great lengths to avoid the conversation. We even invited people not to give when we passed the offering plates or baskets. At the same time, leaders who finance the mission don’t back away when it comes to talking about money. They recognize that it’s their responsibility and they are intentional about talking to their teams, staff, and entire congregation. Not talking about money doesn’t overcome the challenge of financing the mission, it only intensifies it. They set their budgets on what they know, not on what they assume. They keep their staff percentages well below the norm. They have a system for monitoring their budget regularly. They help others win financially. They understand that if the people they shepherd win, the church wins. They are intentional about systems being put into place that teach people how to budget, save, and get out of debt. I am convinced that the number one way of financing the mission is a long-term financial ministry. This should be the first thing we staff and fund as a church, and not the last. They understand the importance of focused campaigns. They understand that a capital campaign is really not a capital campaign, but a spiritual initiative. God uses these times of focused intensity to disciple His people, create movement, and fund his mission. They are accountable and they communicate. They openly thank people for their sacrifice. They connect their giving with real life change and ministry. They are financially accountable to the body. They create trust. They are over- the-top in communicating through some kind of end-of-the-year report. Here are five practical applications, based on these best practices, you can apply this year. Preach at least one series on giving. Launch a financial ministry that includes regular classes on getting out of debt, saving, and giving. Include financial counselors. 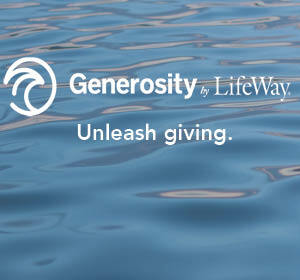 Schedule a capital or generosity campaign. Present an over-the-top end-of-the-year report. We would love to help you win in these areas. For your generosity and campaign needs don’t hesitate to reach out to us, the Auxano Team (www.auxano.com), or email me at davidp@auxano.com. > Read more from David here.